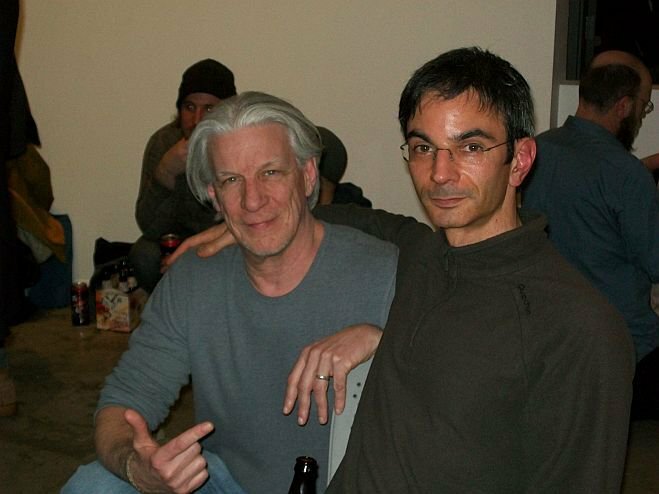 I have had two occasions to spend a little time having dinner and talking with Rafael Toral; he has visited Minneapolis and played twice in the past five years – the first a solo performance, and in March 2011, in a duo with drummer Davu Seru. Between those two performances, I started a blog, and wrote an appreciation of Rafael’s passion for the past decade, his Space Program. Last September Rafael asked me to write the liner notes for the CD release of that concert, out now on Clean Feed records. Here’s what I had to say; I hope some of you will check it out, it burns. Everything in the Space Program is jazz, except the music. – Rafael Toral, in a 2011 interview. Since the conception of the Space Program in 2004, and throughout its development and refinement to this date, Rafael Toral has pursued nothing short of a re-imagining of jazz values. With a steady flow of releases documenting each new iteration of his Space Program – a program comprising a language, a fresh approach to collaborative improvisation, and, most strikingly, an immediate, felt atmosphere for his solo and collaborative efforts – Toral has asserted, via both jazz-based phrasing and a nearly equal privileging of the portentous power of silence, jazz values within the realm of electronic instrumentation. In Toral’s program, both jazz and electronic music are approached as if their respective conventions and self-limiting baggage are simply grist for his mill, to be assimilated, jettisoned or integrated as he sees fit. Improvising musicians who willingly, even violently, depart from an aesthetic comfort zone, and with it, the seductions of a hard-won proficiency and a fan-base, to make something new are rare. From roughly the mid-90s to the turn of the new century, Toral established himself, with both critics and followers of guitar-based drone music, as among the most intelligent and potent musicians working in that area of sound. Allergic to formula, Toral realized that what he had exhausted was not the guitar, but his ideas and approaches to the music. So drone’s luxuriant, saturated sound-fields yielded to silence [more so in other recordings of the Space Program than found here]; drone’s steady-state, immersive nature yielded to the unstable, at times intentionally uncontrollable matrix of pitches and feedback-squalls unloosed by Toral’s invented instruments; and a bracing trajectory from compositions that involved considerable editing and post-production to what Toral calls “real-time decisions” – or as jazz-heads have it, free improvisation. In short, Toral shook off some inarguably beautiful music to reintroduce into his work – and to us, the fortunate listeners – real risk and the possibility of discovery. In March 2011, Toral traveled to Minneapolis, Minnesota to perform in celebration of the release of Space Elements, Volume III [Taiga Records, a Minneapolis-based imprint]. 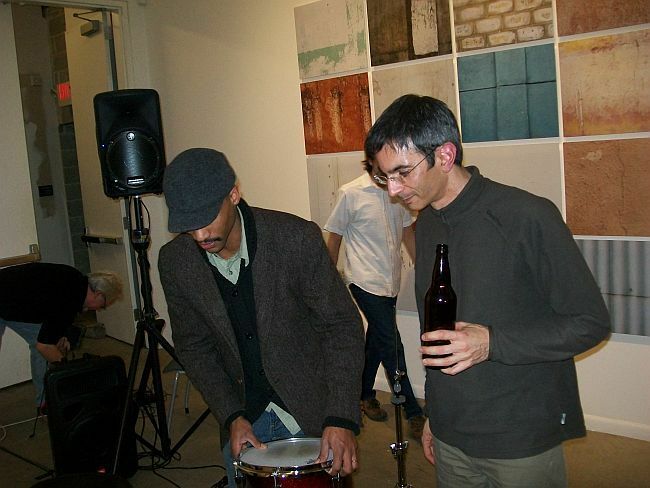 A duo performance was arranged with Minneapolis native Davu Seru, a percussionist whom I have heard play dozens of times since 2001. Seru brought the most apposite elements of musicianship to the meeting: an acuity of listening developed over a decade of frequent collaborations with some extraordinary improvisers, principal among them Milo Fine; a generosity of playing spirit that finds Seru more often than many of his contemporaries laying out, yielding to silence, granting unfettered playing space to his collaborators; and astonishing facility with dropping bombs and swinging wildly. It is a personal pleasure, following a decade of hearing Seru in numerous performance contexts, to think his work might now extend to new audiences. Toral and Seru have created music that merits inclusion with any of Toral’s prior associations. I say this having heard every one of them many times, and having written at length about the Space Program. As I’ve written before, a cursory look at Toral’s arsenal of instrumentation cannot convey the immediacy and impact of what you’ll hear on these three tracks. Seru’s fluid transitions from mallets to sticks to nylon brushes to the air between will, I trust, be a revelation for many new listeners. The duo skitter, sing and occasionally raise holy hell with the fire jazz fans seek out [and that often results in a strike out, finding only exhausted templates of played out possibilities]. On the closing track, Toral and Seru deliver what I imagine we’d hear if Hendrix had lived to investigate similar fields of improvisation with, say, Milford Graves. This iteration of the Space Program is that bracing. So let’s revisit Toral’s paradoxical quote above – everything is jazz, except the music – revisit it as you listen through this duo’s meeting, considering the structure and shape of the thing, the sounds of surprise, the myriad senses of space and sound that flow between them, the intimacy established as if they’d met many times before. I have long since given a good goddamn what you call this music – what is essential and vital is found here. Rafael Toral’s Space Program appears, at this date, endlessly expansive and flexible, and we are fortunate indeed he joined with Davu Seru to realize once more what is possible in creative music played at the highest level. This entry was posted in music writing on March 25, 2012 by jessewgoin. Thanks for the heads up on this fantastic release. I really enjoyed your notes.